MUSMA is located within the impressive framework of the 16th century Palazzo Pomarici, in the heart of the Sassi. 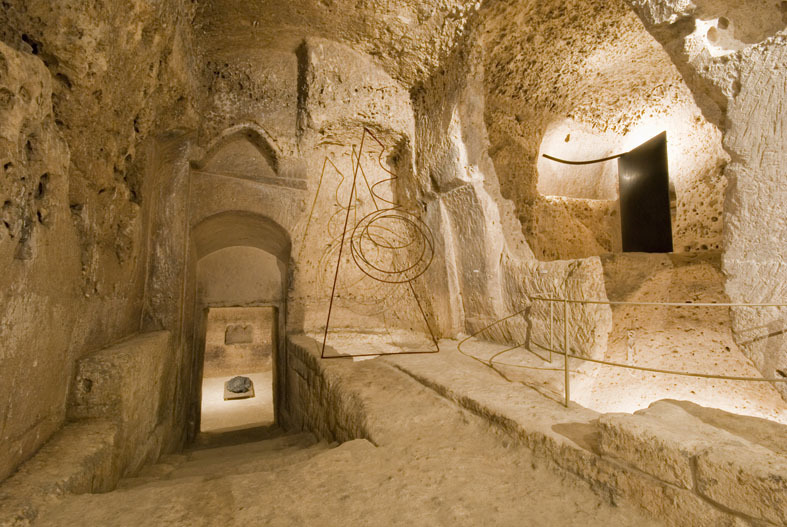 This unique museum provides the perfect environment for the symbiosis of sculpture and the characteristic carved sites in the Sassi; the exhibition galleries, in fact, consist not only of the rooms of the Palazzo, but also the vast hypogea, where the works of art are revitalized by the strength and beauty of the surrounding rock hewn spaces. 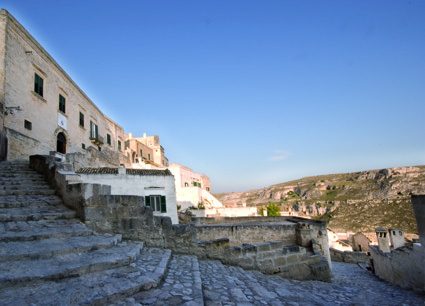 The museum project was born of the conviction that the Sassi of Matera - partly carved out of the rock and partly modeled with rock by folk masonry wisdom - provided a site extraordinarily adapted for presenting sculpture exhibitions. An ancient city like Matera should not live only on its past but must understand how to transform its historical heritage into a new culture. The Museum of Contemporary Sculpture maintains not only a permanent collection of the work of international sculptures, but also hosts changing exhibitions in its efforts to explore the artistic language of our times. 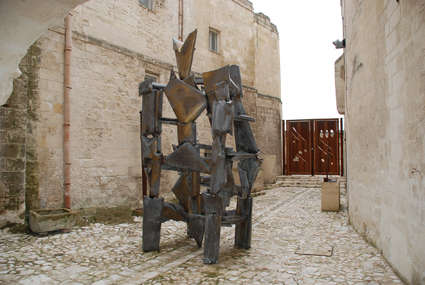 Palazzo Pomarici was restored under the supervision of the Architect A. Zanmatti, who also installs the exhibitions. MUSMA’s logo was designed by Mario Cresci.